Nobel Prize winning beauty ingredient EGF containing skin care series. 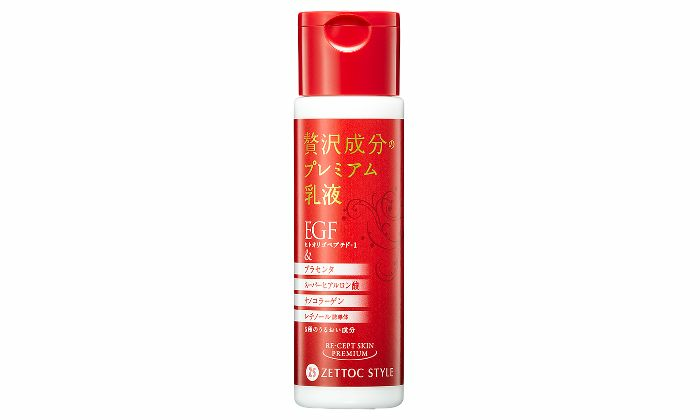 EGF Promotes cell regeneration in horny layer making skin look younger. Apart from EGF, full of collagen, hyaluronic acid, placenta and retinol. Best for skin regeneration! After washing your face, put proper quantity into the palm of the hand and gently apply to the face. Nippon Zettoc is experienced toothpaste and cosmetics manufacturer with more than 60 years history mainly dealing with well-established pharmaceutical companies in Japan and overseas.